AMES, Iowa – Generations of students have read Shakespeare and Hemingway for high school literature class and Jeanne Dyches, assistant professor in Iowa State University’s School of Education, would like students to question that tradition. The titles often at the top of high school reading lists are considered “classics” or required for “cultural literacy,” she said. However, the authors – typically white European men – do not reflect the diversity of students in the classroom. Dyches says assigning these texts without questioning issues of race or gender may exclude students who do not see themselves in the text, and make them feel their voices are not valued. This lack of questioning also normalizes the experiences of students who belong to dominant groups. That is why Dyches encourages educators to consider the ideology ingrained in the texts they assign, and give students the tools to question what they are reading. For a new paper, published by Harvard Educational Review, Dyches spent time in a high school literature class teaching students to critically examine and question the discipline of English language arts. Students reviewed more than a century’s worth of national studies on the titles most commonly taught, national and local standards for recommended readings, as well as local and state curriculum policies. The high school was located in a predominately white, suburban Midwest community. Her research found the lessons sharpened students’ awareness and recognition of messages of power and oppression within classic literature. By the end of the study, 77 percent of students – a 27 percent increase – recognized the politicized nature of teaching these traditional texts. Dyches says while most students were uncomfortable talking about oppression and injustice in a specific text, students of color demonstrated more awareness of these issues. Dyches surveyed students at the beginning and end of the study to understand their perceptions and relationships with the texts they were reading in literature class. In their responses, students described the texts as “bland and ineffective,” adding that they “can’t relate to any of it,” yet they still considered the titles to be “timeless” and important “to improve upon their reading and writing skills.” Dyches said students read the texts because they believed doing so would prepare them for college. 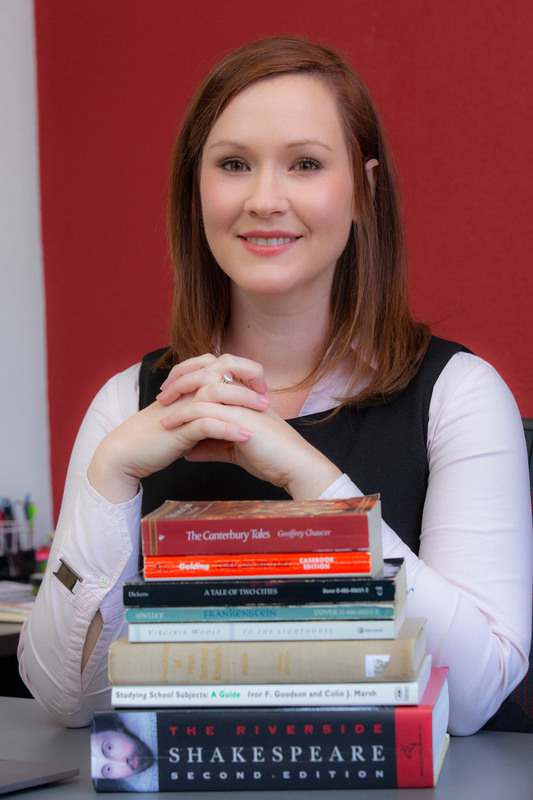 Their responses illustrate a commonly held belief about the “value” of classic literature, which is based more on tradition than literary standards, Dyches said. The problem is students and educators alike do not think to question why this is the case. In fact, Dyches says until she started researching social justice issues, she was unaware of the historical perspectives and ideologies she promoted through the texts she assigned. Not only does she want to empower students to question what they’re reading in class, Dyches also wants teachers to recognize the political context of their decisions. Educators, like all people, have different biases or beliefs, Dyches said. However, if teachers know this and address those biases in the classroom, she says that is a step in the right direction. “We’re all political beings and whether you recognize it or not, you’re always teaching from your belief systems. It’s essential to recognize and understand how our ideas or beliefs influence our teaching. I would argue you’re being just as political when you assign ‘Macbeth’ as when you assign ‘The Hate U Give,’” Dyches said. After working with students to identify the political structures in literature, Dyches asked students to tell the story from a different perspective and bring marginalized voices into the conversation. She said the assignment challenged students and forced them to think about how the changes affected the story or how they comprehended the story. For example, students rewrote “Romeo and Juliet” to address issues of race by making Romeo and Juliet an interracial couple. In the paper, Dyches describes how the students incorporated social media into the story as the characters used Twitter to write “love tweets,” creating a national social movement documented through the hashtag #lovehasnobounds. This is one way teachers can continue to teach classic literature – by questioning how race and patriarchy influence the narrative, Dyches said. While the study focused specifically on literature, she would like to see students apply the same critical thinking skills to other disciplines and aspects of their lives.